You can also find used and new copies of our book on eBay. Prices and terms vary from vendor to vendor. 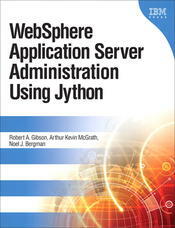 The links you see here will take you to articles that the authors feel would interest people who read WebSphere Application Server Administration Using Jython. Some of these articles are here on our site. Other articles are published on other sites.